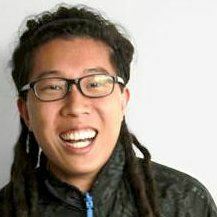 Nemo Chu was the first marketer at Bloomfire, which was acquired 20 months after launch for 7-figures. Then, he was the director of customer acquisition and success at KISSmetrics by day, while building a 7-figure eCommerce business in 12 months by night. That eCommerce business is Chu’s company cucu.co inc. The startup began with a simple question: Why do people buy things? Today, that question drives his team’s success in markets all around the world. They have successfully launched over 100 digital and physical products used by hundreds of thousands of customers. Chu recently decided to call Las Vegas his new home. He grew up performing music, and says the Las Vegas nightlife appealed to him. He also likes that Nevada has no state income tax. A familiar startup founder story, CuCu started out of Chu’s bedroom while he worked his day job. Chu brings valuable startup experience to the #VegasTech community and looks forward to connecting with the growing startup ecosystem in the valley. In addition, CuCu is hiring in Las Vegas. Chu is looking for a personal assistant, deal-makers, online marketers, and a warehouse crew. Community members interested in working with Chu can learn more about the growing team and startup culture here. We are a Charity. We need a Credit Card fufillment center.